S Arul, 32, a native of Tenkasi in Tirunelveli district had been running a clinic for last 8 years . On getting a tip off Mr.S Kannan, joint director of medical and rural health services raided SP Clinic at Kulathupalayam on 20.07.2017. On interrogation, S Arul claimed to have got a medical degree from Russia equivalent to MBBS and came back to India in 2009. He said that he appeared for the screening test but didn’t clear it and hence couldn’t register his degree in India. The doctor was detained by the health department officials at Kulathupalayam in Coimbatore city for practicing without passing a screening test conducted by the Indian Medical Council (IMC).We did not arrest him and are discussing with the IMC officials for investigation,” a police officer said. His clinic was however sealed by the officials later on. (i) An Indian citizen possessing a primary medical qualification awarded by any of the medical institutions outside India and desirous of getting provisional or permanent registration with the Medical Council of India or any State Medical Council on or after 15.3.2002 shall have to qualify a Screening test conducted by the prescribed authority for the purpose of their registration in India. A person seeking permanent registration shall not have to qualify the Screening test if he or she had already qualified the same before getting his or her provisional registration. (ii) The primary medical qualification possessed by the Indian citizen should be a recognised medical qualification for enrollment as medical practitioner in the country in which the institution awarding the said qualification is situated. (iii) Any Indian citizen who is desirous of taking admission in an undergraduate medical course abroad on or after 15thMarch, 2002 shall have to obtain an Eligibility Certificate from the MCI stating that he or she fulfils the minimum eligibility criteria laid down by the MCI for admission in MBBS course in India. He shall also have to produce the same at the time of appearing in the Screening test, after completion of his degree abroad, for the purpose of obtaining registration in India. Many a Medical students who are unable to clear Screening Test after their medical graduation from abroad, are forced to resort to illegally practicing medicine in India by working as a free lancer or illegally working in a Nursing Home. I\’m rural only RMP doctors without any degree doing operation also nureses only doing that.put screening test to your reservation and donation student only India pass percentage not more than 10 % ,then avoid all four things you can talk about forigen medical students FMCH exam.it is shameful keeping all dirty systems and talking merit.pl introduced for all screening test to all RMP and forigen and local with reservation and donation seats students .then come to know who will passes. They are not posing they have earned their license through Exam by MCI. IF you have the real list of these POSERS ,submit it to Health authorities-They will take Immediate action! WHAT ABOUT DOCTORS POSING THROUGH DONATIONS ?RESERVATIONS…THEY SHOULD ALSO SIT FOR THIS EXAM..let the common entrance exam be universally implicated for INDIAN & foreign medical graduates like USMLE .THEY WILL know where they stand. Because In abroad you don\’t earn your degrees by donations/reservations and flattery!! But know this, licensing exams in other countries are mandatory for students that have graduated from their own schools, not just those from foreign schools. And not just degrees but even admissions are on sale in some of our own Indian med schools if you have enough dough. 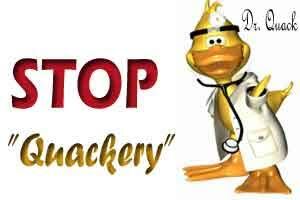 So, if you really wanna be fair and don\’t want your loved ones to end up in some know-nothing \”quack\’s\” clinic, have a licensing exam that is uniformly required for ALL medical graduates. And other hand graduates with mbbs equivalent degrees who can according to guidelines of WHO call themselves doctors and are doctors being. Humiliated. Yes there is scarcity of doctors in India and abroad as well but still regulations are in place to monitor proper medical conduct and protect the medical professionals in case of adverse event . WHO is an autonomous body and recognises medical colleges and not doctors . Each country has a lic naming exam for medical professional so India isn\’t doing something unusual . You should report the people who are practicing allopathy who are not entitled to do so if you know them and their whereabouts . MCI rules are for doctors regulations and any law abiding citizen would adhere to laws and rules such as in an event of adversity he can protect himself and call himself as qualified as per standards of that particular country . This argument can roll over for days but the crux is if a citizen pursues medicine outside his native country and wishes to practice medicine on his return should follow local council laws in order to establish norms of practice and prove equivalency . your argument is poor . Basic legal requirements are to be fulfilled . Pointing fingers does not do justification . If there are thieves and scoundrels all around that does not justify the actions by them and we should also not be following or supporting them while doing anything which should seem similar illegal activity . we should desist doing illegal practices or else law will act some day as it has done now . The nursing staff are also so much experienced. It doesn\’t mean they can work as a doctor. There is a minimal criteria for any degree holder to give exams and get registered. A lot of students only buy such degrees but they don\’t know anything in medicine. Who knows someday u or ur closed ones will fall in his clinic for treatment and u know what will happen. So better to cross the exam and treat properly. None will stop then.